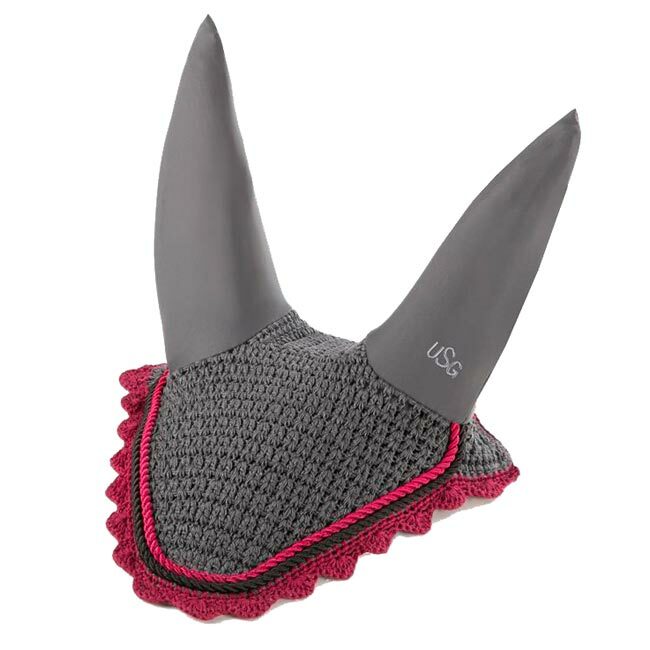 Give your horse a hand by purchasing this USG Crochet Fly Veil in Grey with Burgundy Trim for them. It has been constructed from 100% cotton with "Elastisch" ears that are made from Lycra to give the perfect fit for your horse's ears. Your horse can beat the flies and look amazing when they wear this USG fly veil!